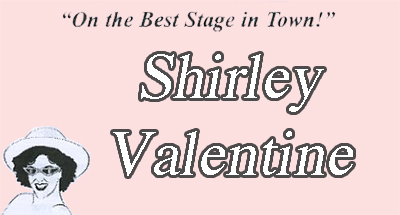 Shirley Valentine: her hope and self-confidence badly shattered by school, marriage and life, she is reduced to talking to the kitchen wall whilst preparing her husband’s evening meal – to be on the table as he opens the front door every night. As she sips a glass of wine, she dreams of drinking in a country where the grape is grown. Her feminist friend offers her a holiday in Greece, and with great trepidation and a lot of forward planning, Shirley seizes the opportunity and goes to encounter a completely different lifestyle. A witty, British look at one woman’s triumph over traditional gender roles, boredom, and the empty nest.